Shamian Island, previous known as Zhongliusha or Shicuizhou, is an elliptic sandbar in the Liwan District of Guangzhou City, Guangdong Province. The island's name literally means "sandy surface" in Chinese. Surrounded by water, it is just like a giant ship mooring alongside the wharf. Get further and one will find that Shamian Island is carefully planned. Three east-west avenues, Shamian Avenue, Shamian North Avenue and the South Avenue, and five north-south streets, Shamian Street 1 to the Street 5 divide the whole area into 12 parts, with various buildings, namely White Swan Hotel, Shamian Hotel, and Poland Consulate in Guangzhou, scattered around. Shamian Island has great historic significance. From the Song (960 - 1279) and the Qing Dynasty (1644 - 1911), it served as an important port for Guangzhou's foreign trade. Then, it became a strategic point for city defense during the second Opium Wars (1856-1860). In 1859, the territory was divided into two concessions, given to France and United Kingdom (of which 4/5 went to the British and 1/5 to the French). It was then embanked and provided with streets, drainage, and imposing buildings and became home to a prosperous foreign enclave. From the late 1800s to the early 1900s, most of the public facilities were finished, including political buildings like consulates, cultural buildings like churches and schools, as well as commercial buildings like banks and firms. After 1949, the mansions there became government offices or apartment houses and the churches were turned into factories. But later they were restored, in many cases to their former splendor. Each building has a label telling its former purpose. One may start to imagine what stories these building held while viewing the plaque writing about its previous function. One example is "No.7 North Shamian Avenue" which was built during the Republican period and was formerly the Administration Bureau of Broadcasting of the Nationalist Government. The mansions there form the best preserved Western Europe style building complex in China. Forty-two out of 150 buildings are counted as the most exotic ones, Gothic, Baroque, and Neoclassical, in Guangzhou. Since the early 2000s, the Shamian Island has become well known for many Western couples who reside there, seeking to adopt Chinese babies and young children, most of whom are orphaned and female. In particular, the White Swan Hotel, adjacent to the Consulate of United States in Guangzhou and convenient to file paperwork and handle bureaucratic matters, has become a hotel of choice. Shamian Island is a good place for a stroll. As it is just 900m (980 yards) long from east to west and 300m (330 yards) from south to north, one will not feel tired even after walking around the island twice. Due to traffic control on the Shamian Island, it showcases a different atmosphere and pace of living. Problems such as traffic jams and exhaust gas pollution don't exist here. Now partly reserved for pedestrians, its broad boulevards are like long gardens topiaries. A line of bars and cafes on the southwest side with views over the Pearl River serves modern expats. 1. Take Sightseeing Bus Xiguan Style to Shamian. 2. Take bus 1, 9, 25, 57, 64, 75, 105, 181, 208, 209, 217, 251, 270, 297, 538, 552, 556, Guang 81, Guang 123, or Guang 281 to Shizhong Yiyuan. Take metro Line 1 or Line 6 to Huangsha station. Get out from Exit F and walk through an overpass to the bridge to reach the Island. Take taxi from the Guangzhou Railway Station to reach directly. Estimated fare: CNY 28 (excludes bridge toll). 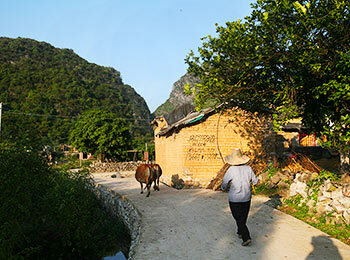 How to get to shamian island from paco hotel tianpingjia ? It is advised to take metro line 6 from Taipingjia Station to Huangsha Station, Exit E. After arriving, walk southeast around 750 meters to arrive at the destination. hello there, best time to vist this island? As I know, Oct. Nov. and Dec. are all good times with cool weather. How long would visitors usually spend visiting Shamian Island ? As I know, 2-3 hours is enough to pay a full visit. 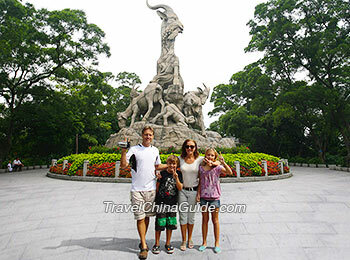 How to get to Guangzhou Shamian Island from Beijing Road? Can i just walk? Or is it better i take subway? Which line? No, you cannot just walk. The distance is about 2.5 miles (4 kilometers). Take subway line 6 from Beijing Road Station to Huangsha Station, Exit E. It only takes around 10 mins. And the fare is CNY 2 per person. Then walk southeast around 700 yards to find the destination.